I found the perfect summer slides, and they were on sale (and they're on sale in the link above too). These slides easily work for everyday or for the pool. 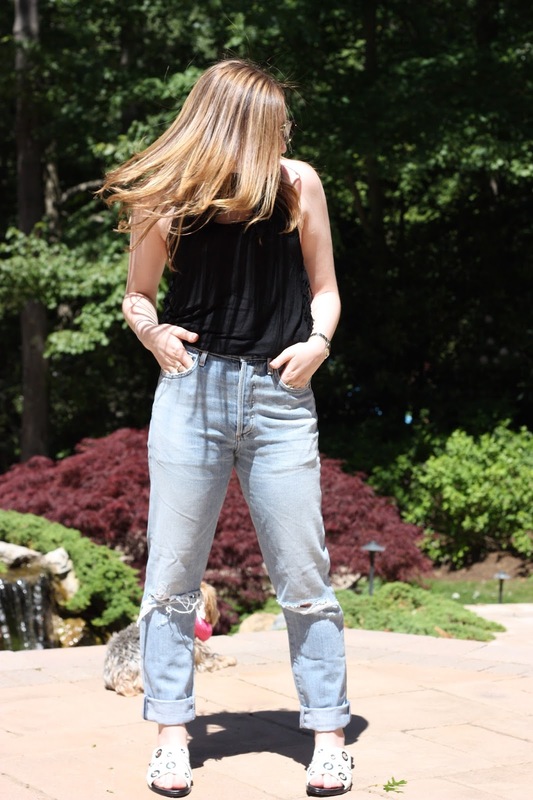 I especially love them worn super casually with a pair of boyfriend jeans. This pair from Citizens is the perfect pair, trust me, I've been searching for a while. They fit just like a perfectly tailored pair of vintage jeans. But if you do buy them I recommend sizing down depending on how loose you want them because they do definitely run big.